Ever since Clockwork closed, I've been engulfed in the force that is Capital Fringe. Although it's made for a pretty hectic few weeks, I'm proud to say I'll be making my performance debut this year at Fringe in not just one but TWO shows! I Like Nuts! 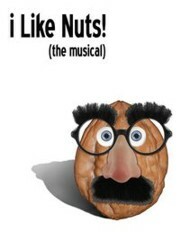 (the Musical) is an irreverent comedy about a young man's journey to learn "the knowledge of the nut." Part SNL-comedy, part educational, and mostly full of double-entendres, this show returns to Fringe in the silliest way possible. "I Like Nuts! 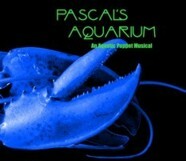 (the Musical)"
Pascal's Aquarium showcases a collection of aquatic puppet beings who sing, swim, and sass their newfound crustacean friend out of his shell. But what happens when the lobster gets cocky? A world premiere musical, Pascal's Aquarium brings adult humor and wit to a seemingly kid-friendly genre. I've had the pleasure of working again with fellow friend, Eric Brooks of the Puppet Co. on this show and am stoked to see how it unfolds. "Pascal's Aquarium: An Aquatic Musical"
In order to gain full admission to a Fringe show, you need to have a Fringe button ($7) as well as a ticket ($17). The Fringe button need only be purchased once. By clicking the dates and times below, you can purchase tickets directly from the CapFringe website.